It’s been awhile since we included a Naked Pastor cartoon; click the image to read more. Homeschooling — Can you live the missional life and yet be isolating yourself from the public school system with your kids? Join the discussion at Jesus Creed. Persecution — A Russian Evangelical church is razed in the middle of the night by construction machinery in a complicated case involving relocation and development permits. Prayer — Watching a video about The Congo at Glenn Schaeffer’s blog yesterday, I discovered the YouTube channel for Prayercast, which took me to their website, a mass media and arts organization with a focus on news gathering; which later took me to parent organization OneWay Ministries. Commentaries — A piece we missed back in May that’s worth going back to on how (and why) to use Bible commentary books. Donations Needed — Blogger and YWAM missionary Jamie Arpin-Ricci reaches out online for financial help to continue his mission in central Canada. Parenting/Youth Ministry — Lisa Robinson thinks that the present emphasis on ethics and morals with Christian teens ought to be refocused; that Christian teens actually need evangelism. Media — The popular Canadian-based Christian newsmagazine, Listen Up with Lorna Dueck is now known as Context. Lorna’s also blogging, here’s a piece on why Bible distribution in schools should continue. Books — Brian McLaren had a new release yesterday with the very long title, Why Did Jesus, Moses, the Buddha, and Mohammed Cross the Road? 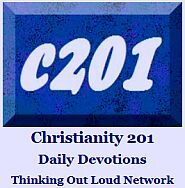 : Christian Identity in a Multi-Faith World. Here’s a post with some endorsements at Brian’s blog. Liturgy — I love going down the various trails that lead from the weekly Sunday Setlists at Worship Community. This particular worship liturgy was well crafted, as was the care that went into posting the recap. Women in Ministry — Christa Romig-Leavitt considers the possibilities of aging women in ministry; a somewhat different perspective. Veteran Bloggers — Anne Jackson is back and has written a number of articles for Relevant Magazine which you can see collected here. New Bloggers — Well, new to Alltop Christian: Interpulpit by Rick Bell an American who who writes from China, and Larry Williams at Mangoes. 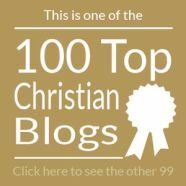 New at Alltop Church: a various authors blog at TruMinistry. Church Leadership — Finally what I’ve been waiting for, an exhaustive study of 209 churches that digs into the topic of church salaries of pastoral staff. CCM — With roots in Canada before relocating south, the band downhere (with a small ‘d’) has announced that band members are moving on. I needed a closing cartoon and all week long I fought the idea of stealing borrowing this one from Master’s Table, but at midnight last night, I gave in. I wish Linus had a blog. I have friends on Facebook with funny names such as Jesus, the Bible, and God’s Page. I’m sure I “borrowed” that cartoon from one of them. BTW, did you get an email from me about submitting a guest post? I sent one last week. Sorry for not replying. I was wondering about a Canadian Christian’s perspective on the 2012 election! I have American Christian friends that get all their news from the BBC. They offer unbiased reporting on American politics because they have no vested interest. 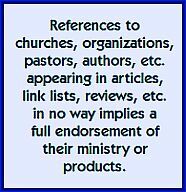 Thanks, Paul, for including the Interpulpit on your list of links. Thirst missions is an incredible organization. I love the ministries that Thirst Missions offers. What a great trip. Readers, what do you think… is this my first instance of spam from a Christian organization?